Frank Garvin Yerby was born in Augusta, Georgia on September 5, 1916. His parents were Wilhelmina and Rufus Yerby. Frank Yerby was the product of an interracial marriage. His father was African American and his mother was of European origin. Yerby grew up in Augusta and attended two local institutions. He graduated from Haines Institute in 1933. Four years later he earned a second degree from Paine College. The following year Yerby entered Fisk University in Nashville where he earned a masters degree. Yerby began studies toward a doctorate in education from the University of Chicago but dropped out before obtaining a degree. Frank Yerby taught briefly at Florida A&M College and later at Southern University in Baton Rouge, Louisiana. He later migrated north, to Dearborn, Michigan where he worked as a technician at the Ford Motor Company and then to Jamaica, New York, where he worked in the aviation industry. Eventually Yerby gained success as an author. His story “Health Card” won the 1944 O. Henry Memorial Award for best first published short story of the year. Two years later his first novel, The Foxes of Harrow, received critical acclaim. Yerby would write more than thirty novels over his career. His best known novel, The Dahomean, appeared in 1971. His publications sold more than fifty-five million hardback and paperback books worldwide, making him one of the most commercially successful writers of the 20th Century. Yerby’s novels often focused on strong male heroes but, unusual for the period, often included characters of various ethnic backgrounds. His complex story lines, known for their acute sense of history, were also usually enmeshed in romantic intrigue and violence which seemed to enhance their popularity. Despite his commercial success Yerby, by the late 1960s, was the target of criticism by black literary critics and activists who charged that his work did not adequately address African America. Some of them contended that he deliberately denied the brutal realities of American racism that blacks faced in the historical periods his novels portrayed. 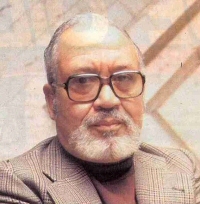 Others charged that his treatment of many of the African American characters in his novels reflected the dominant anti-black stereotypes of the era. Thus, although Yerby was the first best-selling black novelist, he also became the most maligned because many critics felt his work lacked the appropriate racial consciousness. Stung by the criticism, Yerby renounced his American citizenship and lived abroad for the rest of his life. Frank Yerby died on November 21, 1991 in Madrid, Spain.